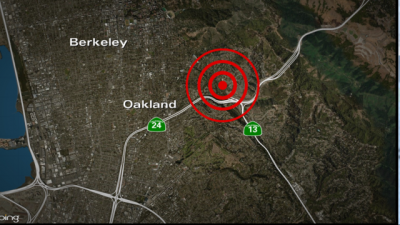 OAKLAND, Calif. (KTVU) - A 3.4-magnitude earthquake struck north of Piedmont Wednesday morning and though it caused no immediate damage it was felt throughout the Bay Area. The quake struck at 4:42 a.m., according to the USGS. It was originally reported as a 3.7-magnitude quake, downgraded within the hour. Two small aftershocks following, registering a 1.9 and 2.0 in magnitude. As a result, BART reported 20-minute delays as crews inspected the tracks immediately afterward. Oakland firefighters reported no emergency calls. 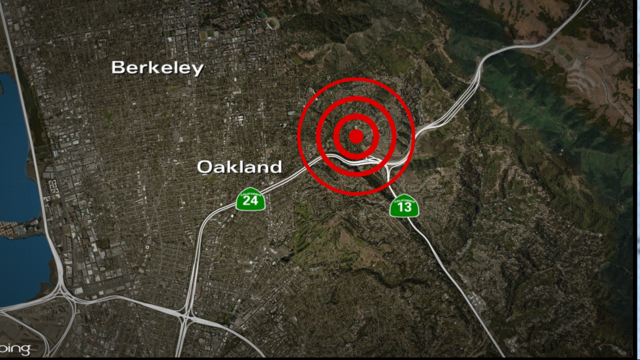 On KTVU’s Twitter feed, people wrote in to say they felt the shaking in San Leandro, Alameda, Hayward, Oakland, Daly City, Pacifica, San Rafael, San Jose, Newark, San Francisco and South San Francisco among other places. “I felt it. Woke me up. Shook my entire apt complex in San Leandro. Even made the door rattle loudly,” someone tweeted. Luchia Ashe wrote in to say that she is working with Tyler Perry’s “Madea’s Farewell Play Tour” at the Paramount Theater in Oakland and was up just as the quake hit. “Felt the hotel shake/rumble for 2 solid seconds,” she emailed. ©2019	Entravision Communications Corporation. TV Division.